We are a client centered practice focused on personal attention. Coleman & MacDonald Law Office has an experienced team of professional patent attorneys with many years of experience in both large corporations and IP boutique law firms. 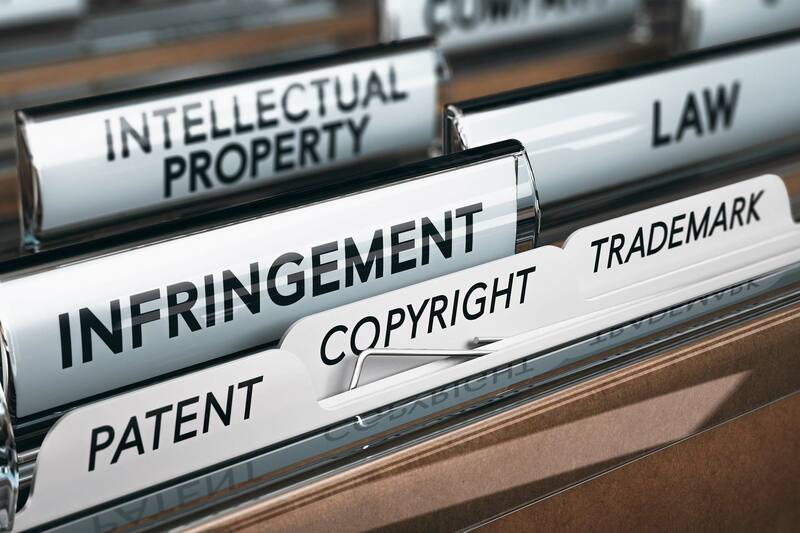 Our attorneys are very experienced in patent prosecution, patent licensing and handling patent litigation matters in the U.S and the oversight of foreign prosecution and litigation proceedings. We provide high quality legal services for Intellectual Property matters to both small corporations and individual inventors including high standards of quality, confidentiality and accountability. Preparation and filing of Complaint or Answer for Trademark Opposition or Cancellation Proceeding; filing fees not included $250/hr. 1) Novelty patent search – Search of U.S. and foreign patent databases to identify prior art patents directed to the key features of an invention $400. 2) Novelty patent search with patentability opinion; includes opinion as to the patentability of your invention in view of the search results $750. 3) Product clearance search – Search patent database for patents having claims which may prevent you from making, using or selling a product; Also can include expired patents identifying subject matter that is in the public domain. $1,200 – $2,400 Call today. 4) Validity/Invalidity Search and opinion – Compares the subject matter of the claims of a patent in question to prior art patents and non-patent references to determine the validity/invalidity of the patent at issue $250/hr. 5) Patent Applications (filing fees not included) Preparation and Filing of a Non-Provisional Application $4,000. 6) Preparation and Filing of a Provisional Patent Application (single embodiment) $800 – $1,200. Preparation and Filing of a Complaint/Response for a domain name dispute; Filing fees not included $3000. Flat rates quoted for certain tasks; $250/hr. for hourly work. Coleman & MacDonald Law Office has wide ranging experience representing both licensors and licensees in all forms of licensing, assignments and other contractual arrangements that transfer intellectual property rights between parties. We have experience in licensing patents, patent applications, trademarks, copyrights, trade secrets, and know-how. Coleman & MacDonald Law Office has represented clients needing assistance with licensing arrangements in fields as varied as mechanical and electrical devices, copyrighted works, trademarks, end-user licenses for software devices, manufacturing agreements, franchise agreements and telecommunication technology transfers. Please contact us to discuss your licensing needs. We will be happy to discuss your situation and do our best to provide a firm quote for your Intellectual Property licensing tasks. Contact us by filling out our free consultation form or call 781-922-8210. Please call if you need legal assistance with any patent related matter not listed above. New Businesses: We can help you build a valuable patent portfolio protecting your innovations, which will become an important asset of your company. Small Corporations: We will act as outside IP counsel to your small corporation, so you won’t need an in-house patent or trademark attorney. If your corporation is cost-conscious about its legal expenses, give us a call to arrange an on-site meeting to review your IP portfolio and to discuss your IP strategy. We offer flat fees and/or capped fees for most of our services. Individual Inventors: We provide high quality patent prosecution and legal services at low cost flat fees. See our fees listed following. Large Corporations: We prepare, file and prosecute U.S. Patents for large corporations on a flat fee basis. Call for a firm quote. Our patent attorneys have in house experience at large International Fortune 100 corporations as well as many years’ experience at IP patent boutique law firms. A patent gives the patent holder the right to exclude others from making, using, offering to sell, selling, or importing into the United States the subject matter of the patent, during the term of the patent. A patent term is 20 years from the filing date. The United States Patent and Trademark Office (USPTO) determines whether a patent should be granted in a case. Once a patent is granted, it is up to the patent holder to enforce the patent rights against infringers. U.S. Patents are enforceable only in the United States. A patent attorney prosecutes a patent application before the USPTO in a process referred to as patent prosecution. 1) Utility Patents (Most Common): for discoveries of new and useful machines, composition of matter or any improvements thereto. Design Patents: a design patent covers any new, original and ornamental design for an article of manufacture. A design patent protects only the appearance of the article and not structural or utilitarian features. Plant Patents: a plant patent covers new varieties of asexually reproduced plants. Novelty Search or Patentability Search: a novelty search is the most common type of patent search. Novelty searches are conducted when an inventor has an invention which he is interested in patenting and wishes to determine if anyone has previously invented anything similar or identical. Typically, a patent attorney reviews the results of a novelty search and provides a patentability opinion as to whether the invention is patentable based on the results of the novelty search. Clearance Searches: A Produce Clearance Search or Freedom to Operate Search identifies patents and published applications that may pose an infringement risk to your product or service. Additionally, expired patents that may indicate that your product or service is in the public domain are identified. The search scope may be limited to US patents and published applications or extended to include foreign patent references depending on your needs. Validity Search: identifies prior art references that may be used alone or in combination to contest the validity of the claims in a patent or patent application. Search results may include published applications and issued patents, both US and foreign, as well as non-patent literature such as scientific journals and papers. The results of a validity search can then be compared to the claims of a patent which is the subject of a validity analysis. Patent Enforcement: Actions taken by a patentee against a party who is making, using, or offering for sale a product or method covered by a patent (patent infringement). FLAT FEE QUOTES We will provide flat fee or capped fee quotes for most patent related services upon request and review of the scope of the services to be performed. Coleman & MacDonald Law Office will prepare, file, and prosecute trademark applications before the United States Patent and Trademark Office and/or before individual State Trademark Offices. We also search existing trademarks and provide expert advice regarding your Trademark rights. We represent clients before the U.S. Trademark Trial and Appeal Board in interparty Opposition and Cancellation proceedings. We represent clients before State and Federal Courts in trademark litigation matters. If you feel another party is infringing your trademark or if you are accused of infringing the trademark of another party, give us a call. We will review the facts with you, discuss the relevant law and provide our opinion as to how to proceed. We handle Uniform Domain Name Dispute Resolution Policy (UDRP) cases. Whether you are a petitioner or a respondent in a UDRP case. We will prepare and file a Complaint or Response for a flat fee of $3,000. Filing fees are extra and vary significantly depending on the forum. The above-quote for handling UDRP cases does not include domain name disputes in a U.S. District Court. The term Trademark is a general term used to describe both trademarks and service marks. A Trademark is a word, phrase, symbol, or design, or combination of words, phrases, symbols, or designs which identifies and distinguishes the source of the goods of one party from those of others. A Trademark is used in connection with the sale of goods and usually appears on a product or packaging materials associated with the product. A Service Mark identifies and distinguishes the source of a service (e.g., H & R BLOCK, for tax services, ACME LANDSCAPING, for a lawn cutting service. Usually, a Service Mark is used in advertising materials for the service. Trademark law is a unique blend of State and Federal laws. That is, each State in the United States has its own laws regarding Trademarks and in addition to each State’s laws there is a separate and distinct set of Federal laws which govern Trademarks. Patent trademark lawyers & law firms in 02101, Patent trademark lawyers & law firms 02108, Patent trademark lawyers & law firms in 02109, Patent trademark lawyers & law firms in 02110, Patent trademark lawyers & law firms in 02111, Patent trademark lawyers & law firms in 02112, Patent trademark lawyers & law firms in 02113, Patent trademark lawyers & law firms in 02114, Patent trademark lawyers & law firms in 02115, Patent trademark lawyers & law firms in 02116 Patent trademark lawyers & law firms in 02117, Patent trademark lawyers & law firms in 02118, Patent trademark lawyers & law firms in 02119, Patent trademark lawyers & law firms in 02120, Patent trademark lawyers & law firms in 02121, Patent trademark lawyers & law firms in 02122, Patent trademark lawyers & law firms in 02123, Patent trademark lawyers & law firms in 02124, Patent trademark lawyers & law firms in 02125, Patent trademark lawyers & law firms in 02126, Patent trademark lawyers & law firms in 02127, Patent trademark lawyers & law firms in 02128, Patent trademark lawyers & law firms in 02129, Patent trademark lawyers & law firms in 02130, Patent trademark lawyers & law firms in 02131, Patent trademark lawyers & law firms in 02132, Patent trademark lawyers & law firms in 02133, Patent trademark lawyers & law firms in 02134, Patent trademark lawyers & law firms in 02135, Patent trademark lawyers & law firms in 02136, Patent trademark lawyers & law firms in 02137, Patent trademark lawyers & law firms in 02141, Patent trademark lawyers & law firms in 02149, Patent trademark lawyers & law firms in 02150, Patent trademark lawyers & law firms in 02151, Patent trademark lawyers & law firms in 02152, Patent trademark lawyers & law firms in 02163, Patent trademark lawyers & law firms in 02171, Patent trademark lawyers & law firms in 02196, Patent trademark lawyers & law firms in 02199, Patent trademark lawyers & law firms in 02201, Patent trademark lawyers & law firms in 02203, Patent trademark lawyers & law firms in 02204, Patent trademark lawyers & law firms in 02205, Patent trademark lawyers & law firms in 02206, Patent trademark lawyers & law firms in 02210, Patent trademark lawyers & law firms in 02211, Patent trademark lawyers & law firms in 02212, Patent trademark lawyers & law firms in 02215, Patent trademark lawyers & law firms in 02217, Patent trademark lawyers & law firms in 02228 , Patent trademark lawyers & law firms in 02241, Patent trademark lawyers & law firms in 02266, Patent trademark lawyers & law firms in 02283, Patent trademark lawyers & law firms in 02293, Patent trademark lawyers & law firms in 02297, Patent trademark lawyers & law firms in 02298, Patent trademark lawyers & law firms in 02445, Patent trademark lawyers & law firms in 02467. Patent trademark lawyers & law firms in 02456, Patent trademark lawyers & law firms in 02458, Best Patent trademark lawyers & law firms in 02459, Patent trademark lawyers & law firms in 02460, Best Patent trademark lawyers & law firms in 02461, Patent trademark lawyers & law firms in 02462, Best Patent trademark lawyers & law firms in 02464 Patent trademark lawyers & law firms in 02465, Best Patent trademark lawyers & law firms in 02466, Best Patent trademark lawyers & law firms in 02467, Best Patent trademark lawyers & law firms in 02468, Best Patent trademark lawyers & law firms in 02495. Best Patent trademark lawyers & law firms in 02114, Best Patent trademark lawyers & law firms in 02134, Best Patent trademark lawyers & law firms in 02138, Best Patent trademark lawyers & law firms in 02139, Best Patent trademark lawyers & law firms in 02140, Best Patent trademark lawyers & law firms in 02141, Best Patent trademark lawyers & law firms in 02142, Best Patent trademark lawyers & law firms in 02163, Best Patent trademark lawyers & law firms in 02238. Best Patent trademark lawyers & law firms in 01901, Patent trademark lawyers & law firms in 01902, Best Patent trademark lawyers & law firms in 01903, Best Patent trademark lawyers & law firms in 01904, Best Patent trademark lawyers & law firms in 01905, Best Patent trademark lawyers & law firms in 01910. Best Patent trademark lawyers & law firms in 01701, Best Patent trademark lawyers & law firms in 01702, Best Patent trademark lawyers & law firms in 01703, Best Patent trademark lawyers & law firms in 01704, Best Patent trademark lawyers & law firms in 01705. Best Patent trademark lawyers & law firms in 02451, Best Patent trademark lawyers & law firms in 02452, Patent trademark lawyers & law firms in 02453, Best Patent trademark lawyers & law firms in 02454, Best Patent trademark lawyers & law firms in 02455. Best Patent trademark lawyers & law firms in 01830, Best Patent trademark lawyers & law firms in 01831, Best Patent trademark lawyers & law firms in 01832, Best Patent trademark lawyers & law firms in 01835, Best Patent trademark lawyers & law firms in 01860, Best Patent trademark lawyers & law firms in 01985. Best Patent trademark lawyers & law firms in 01850, Best Patent trademark lawyers & law firms in 01851, Best Patent trademark lawyers & law firms in 01852, Best Patent trademark lawyers & law firms in 01853, Best Patent trademark lawyers & law firms in 01854. Best Patent trademark lawyers & law firms in 02122, Best Patent trademark lawyers & law firms in 02169, Best Patent trademark lawyers & law firms in 02170, Best Patent trademark lawyers & law firms in 02171, Best Patent trademark lawyers & law firms in 02184, Best Patent trademark lawyers & law firms in 02186, Best Patent trademark lawyers & law firms in 02191, Best Patent trademark lawyers & law firms in 02269, Best Patent trademark lawyers & law firms in 02368. Best Patent trademark lawyers & law firms in 01810, Best Patent trademark lawyers & law firms in 01812, Best Patent trademark lawyers & law firms in 01899, Best Patent trademark lawyers & law firms in 05501, Best Patent trademark lawyers & law firms in 05544. Best Patent trademark lawyers & law firms in 02121, Best Patent trademark lawyers & law firms in 02122, Best Patent trademark lawyers & law firms in 02124, and Patent trademark lawyers & law firms in 02125. Patent trademark lawyers & law firms in 01801, Patent trademark lawyers & law firms in 01813, Best Patent trademark lawyers & law firms in 01815, Patent trademark lawyers & law firms in 01867, Best Patent trademark lawyers & law firms in 01888, Patent trademark lawyers & law firms in 01890. Patent trademark lawyers & law firms in 02445, Patent trademark lawyers & law firms in 02446, Best Patent trademark lawyers & law firms in 02447, Patent trademark lawyers & law firms in 02467. Best Patent trademark lawyers & law firms in 01840, Best Patent trademark lawyers & law firms in 01841, Best Patent trademark lawyers & law firms in 01842, Best Patent trademark lawyers & law firms in 01843. Best Patent trademark lawyers & law firms in 02135, Best Patent trademark lawyers & law firms in 02471, Best Patent trademark lawyers & law firms in 02472, Best Patent trademark lawyers & law firms in Action, Best Patent trademark lawyers & law firms in 01718, Best Patent trademark lawyers & law firms in 01720, Best Patent trademark lawyers & law firms in 02155, Best R Patent trademark lawyers & law firms in Medford Best Patent trademark lawyers & law firms in 02156. Best Patent trademark lawyers & law firms in 02457, Best Patent trademark lawyers & law firms in 02481, Best Patent trademark lawyers & law firms in 02482. Best Patent trademark lawyers & law firms in 02129, Best Patent trademark lawyers & law firms in 02141, Best Patent trademark lawyers & law firms in 02143, Best Patent trademark lawyers & law firms in 02144, Best Patent trademark lawyers & law firms in 02145. Patent trademark lawyers & law firms in 02474, Patent trademark lawyers & law firms in 02475, Best Patent trademark lawyers & law firms in 02476, Best Patent trademark lawyers & law firms in 02477, Best Patent trademark lawyers & law firms in 02030, Best Patent trademark lawyers & law firms in Dover. Best Patent trademark lawyers & law firms in 01450, Best Patent trademark lawyers & law firms in 01464, Best Patent trademark lawyers & law firms in 01470, Best Patent trademark lawyers & law firms in 01471, Best Patent trademark lawyers & law firms in 01472. Best Patent trademark lawyers & law firms in 01821 Best Patent trademark lawyers & law firms in 01822 Patent trademark lawyers & law firms in 01862 Best Patent trademark lawyers & law firms in 01865 Best Patent trademark lawyers & law firms in 01866. Patent trademark lawyers & law firms in 02169, 02184, Patent trademark lawyers & law firms in 02185, Patent trademark lawyers & law firms in 02368. Patent trademark lawyers & law firms in 01731, Patent trademark lawyers & law firms in 02420, Best Patent trademark lawyers & law firms in 02421, Patent trademark lawyers & law firms in 02451, Best Patent trademark lawyers & law firms in 01730, Patent trademark lawyers & law firms in Bedford, Best Patent trademark lawyers & law firms in 01731, Patent trademark lawyers & law firms in 01469, Best Patent trademark lawyers & law firms in Townsend, Best Patent trademark lawyers & law firms in 01474, Best Patent trademark lawyers & law firms in 01864, Best Patent trademark lawyers & law firms in North Reading, Best Patent trademark lawyers & law firms in 01889. Best Patent trademark lawyers & law firms in 02459, Best Patent trademark lawyers & law firms in 02464, Best Patent trademark lawyers & law firms in 02492, Best Patent trademark lawyers & law firms in 02494. Best Patent trademark lawyers & law firms in 01915, Best Patent trademark lawyers & law firms in 01944, Best Patent trademark lawyers & law firms in 01970, Best Patent trademark lawyers & law firms in 01971, Best Patent trademark lawyers & law firms in Belmont, Best Patent trademark lawyers & law firms in 02452, Best Patent trademark lawyers & law firms in 02478, Best Patent trademark lawyers & law firms in 02479, Best Patent trademark lawyers & law firms in 01960, Best Patent trademark lawyers & law firms in Peabody, Best Patent trademark lawyers & law firms in 01961. Best Patent trademark lawyers & law firms in 01731, Best Patent trademark lawyers & law firms in 01773, Best Patent trademark lawyers & law firms in 02451, Best Patent trademark lawyers & law firms in 01860, Best Patent trademark lawyers & law firms in Merrimac, Best Patent trademark lawyers & law firms in 01923, Best Patent trademark lawyers & law firms in Hathorne, Best Patent trademark lawyers & law firms in 02481, Best Patent trademark lawyers & law firms in Wellesley Hills, Patent trademark lawyers & law firms in 01850, Best Patent trademark lawyers & law firms in Dracut, Best Patent trademark lawyers & law firms in 02053, Best Patent trademark lawyers & law firms in Medway, Patent trademark lawyers & law firms in 02062, Patent trademark lawyers & law firms in Norwood, Patent trademark lawyers & law firms in 02134, Patent trademark lawyers & law firms in Allston, Patent trademark lawyers & law firms in 02322, Patent trademark lawyers & law firms in Avon, Patent trademark lawyers & law firms in 02459, Patent trademark lawyers & law firms in Chestnut Hill, Best Patent trademark lawyers & law firms in 02467. Best Patent trademark lawyers & law firms in 01824, Best Patent trademark lawyers & law firms in 01851, Best Patent trademark lawyers & law firms in 01862, Best Patent trademark lawyers & law firms in 01863. Best Patent trademark lawyers & law firms in 02126, Best Patent trademark lawyers & law firms in 02136, Best Patent trademark lawyers & law firms in 02186, Best Patent trademark lawyers & law firms in 02187, Best Patent trademark lawyers & law firms in 02464, Best Patent trademark lawyers & law firms in Upper Falls, Best Patent trademark lawyers & law firms in 01984, Best Patent trademark lawyers & law firms in Wenham, Best Patent trademark lawyers & law firms in 02131, Best Patent trademark lawyers & law firms in Roslindale, Best Patent trademark lawyers & law firms in 01949, Best Patent trademark lawyers & law firms in Middleton, Best Patent trademark lawyers & law firms in 01721, Best Patent trademark lawyers & law firms in Ashland, Patent trademark lawyers & law firms in 01748, Best Patent trademark lawyers & law firms in Hopkinton, Best Patent trademark lawyers & law firms in 01784, Best Patent trademark lawyers & law firms in 01982, Best Patent trademark lawyers & law firms in Topsfield, Best Patent trademark lawyers & law firms in 01983, Best Patent trademark lawyers & law firms in 01969, Best Patent trademark lawyers & law firms in Rowley, Best Patent trademark lawyers & law firms in 01776, Best Patent trademark lawyers & law firms in Sudbury, Best Patent trademark lawyers & law firms in 01778, Best Patent trademark lawyers & law firms in 01754, Patent trademark lawyers & law firms in Maynard, Best Patent trademark lawyers & law firms in 01702, Patent trademark lawyers & law firms in Sherborn, Best Patent trademark lawyers & law firms in 01770, Best Patent trademark lawyers & law firms in 02119, Best Patent trademark lawyers & law firms in West Roxbury, Best Patent trademark lawyers & law firms in 01719, Best Patent trademark lawyers & law firms in Boxborough, Best Patent trademark lawyers & law firms in 01908, Best Patent trademark lawyers & law firms in Nahant, Best Patent trademark lawyers & law firms in 01730, Best Patent trademark lawyers & law firms in 01731, Best Patent trademark lawyers & law firms in Hanscom AFB, Best Patent trademark lawyers & law firms in 02021, Best Patent trademark lawyers & law firms in 02062, Best Patent trademark lawyers & law firms in 02703, Best Patent trademark lawyers & law firms in Attleboro. Best Patent trademark lawyers & law firms in 01835, Best Patent trademark lawyers & law firms in 01885, Best Patent trademark lawyers & law firms in 01921, Best Patent trademark lawyers & law firms in 01983, Best Patent trademark lawyers & law firms in 01940 Zip codes we serve in Walpole Best Real estate attorney | Construction lawyer in 02032, Best Real estate attorney | Construction lawyer in 02071, Best Real estate attorney | Construction lawyer in 02081. Patent trademark lawyers & law firms in Boston, Patent trademark lawyers & law firms in Newton, Best Patent trademark lawyers & law firms in Cambridge, Best Patent trademark lawyers & law firms in Lynn, Best Patent trademark lawyers & law firms in Framingham, Best Patent trademark lawyers & law firms in Waltham, Best Patent trademark lawyers & law firms in Haverhill, Best Patent trademark lawyers & law firms in Lowell, Best Patent trademark lawyers & law firms in Quincy, Best Patent trademark lawyers & law firms in Andover, Best Patent trademark lawyers & law firms in Woburn, Best Patent trademark lawyers & law firms in Brookline, Best Patent trademark lawyers & law firms in Lawrence, Best Patent trademark lawyers & law firms in Watertown, Best Patent trademark lawyers & law firms in Acton, Best Real estate attorney | Construction lawyer in Medford, Best Real estate attorney | Construction lawyer in Wellesley, Patent trademark lawyers & law firms in Somerville, Best Patent trademark lawyers & law firms in Arlington, Best Patent trademark lawyers & law firms in Dover, Best Patent trademark lawyers & law firms in Groton, Best Patent trademark lawyers & law firms in Billerica, Best Patent trademark lawyers & law firms in Braintree, Best Patent trademark lawyers & law firms in Lexington, Best Patent trademark lawyers & law firms in Bedford, Best Patent trademark lawyers & law firms in Townsend, Best Patent trademark lawyers & law firms in North Reading, Best Patent trademark lawyers & law firms in Needham, Best Patent trademark lawyers & law firms in Dedham, Best Patent trademark lawyers & law firms in West Medford, Best Patent trademark lawyers & law firms in Gloucester, Best Patent trademark lawyers & law firms in Boston, Patent trademark lawyers & law firms in Salem, Best Patent trademark lawyers & law firms Peabody, Best Patent trademark lawyers & law firms in Burlington, Best Real estate attorney | Construction lawyer in Hudson, Best Patent trademark lawyers & law firms in Rockport, Best Patent trademark lawyers & law firms in Wilmington, Best Patent trademark lawyers & law firms in Lincoln, Best Patent trademark lawyers & law firms in Merrimac, Best Patent trademark lawyers & law firms in Hathorne, Patent trademark lawyers & law firms in Wellesley Hills, Best Patent trademark lawyers & law firms in in Dracut, Best Patent trademark lawyers & law firms in Medway, Best Patent trademark lawyers & law firms in Norwood, Best Patent trademark lawyers & law firms in Allston, Best Patent trademark lawyers & law firms in Avon, Best Patent trademark lawyers & law firms in Chestnut Hill, Best Patent trademark lawyers & law firms in North Chelmsford, Best Patent trademark lawyers & law firms in South Hamilton, Best Patent trademark lawyers & law firms in Winthrop, Best Patent trademark lawyers & law firms in Woodville, Best Real Patent trademark lawyers & law firms in in Carlisle, Best Patent trademark lawyers & law firms in Natick, Best Patent trademark lawyers & law firms in North Weymouth, Best Patent trademark lawyers & law firms in West Groton, Patent trademark lawyers & law firms in Nutting Lake, Patent trademark lawyers & law firms in Stow, Best Patent trademark lawyers & law firms in Melrose, Best Patent trademark lawyers & law firms in Tewksbury, Best Patent trademark lawyers & law firms in Foxboro, Best Patent trademark lawyers & law firms in Milton, Best Patent trademark lawyers & law firms in lawyer in Upper Falls, Best Patent trademark lawyers & law firms in Wenham, Best Patent trademark lawyers & law firms in Roslindale, Best Patent trademark lawyers & law firms in Middleton, Best Patent trademark lawyers & law firms in Ashland, Best Patent trademark lawyers & law firms in Hopkinton, Best Patent trademark lawyers & law firms in Topsfield, Best Patent trademark lawyers & law firms in Rowley, Patent trademark lawyers & law firms Medfield, Best Patent trademark lawyers & law firms in Reading, Best Patent trademark lawyers & law firms in Danvers, Best Patent trademark lawyers & law firms in Salisbury, Best Patent trademark lawyers & law firms in Maynard, Best Patent trademark lawyers & law firms in, Best Patent trademark lawyers & law firms in West Roxbury, Best Patent trademark lawyers & law firms in Boxborough, Best Patent trademark lawyers & law firms in Nahant, Best Patent trademark lawyers & law firms in Hanscom AFB, Best Patent trademark lawyers & law firms in in Canton, Patent trademark lawyers & law firms in North Attleboro, Best Patent trademark lawyers & law firms in West Boxford, Best Patent trademark lawyers & law firms in Lynnfield, Best Patent trademark lawyers & law firms in South Walpole, Best Patent trademark lawyers & law firms in East Weymouth, Best Patent trademark lawyers & law firms in Babson Park, Best Patent trademark lawyers & law firms in Milton Village, Best Patent trademark lawyers & law firms in West Townsend, Best Patent trademark lawyers & law firms in, Best Patent trademark lawyers & law firms in Stoughton, Best Patent trademark lawyers & law firms in Waverley, Best Patent trademark lawyers & law firms in Sharon, Best Patent trademark lawyers & law firms in Georgetown, Best Patent trademark lawyers & law firms in Mattapan, Patent trademark lawyers & law firms in Holliston, Patent trademark lawyers & law firms in Amesbury.